The unique identity of a bar attracts thousands of customers and increases sales. Let’s see how the unusual bars around the world look and let’s learn more about the trends in their design. Lux-format. To decorate such bars, its designers used expensive metals and high-quality. The prevailing styles are Hi-Tech and modern with monochrome colors. The highest class. 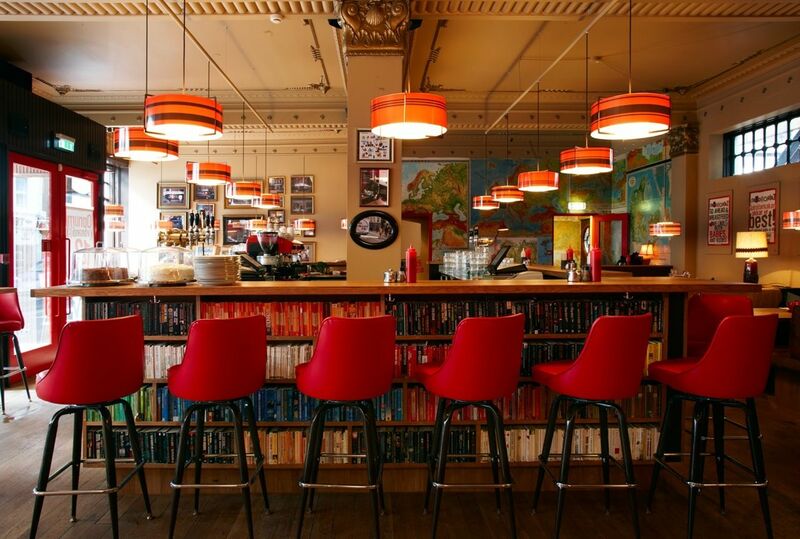 The bar features an original, easily recognizable interior. He can easily define “conceptual bar”. Decor and dishes are somewhat simpler than in the previous version. The bar can be decorated in the style of a specific country or era. The interior uses many details that complement the chosen concept: paintings, posters, flowers, and musical instruments. The first class. The bar places its stake in the atmosphere without using expensive decor items. The price policy is democratic. If the music is playing, then it’s only recorded, not alive. Bar identity: what to start with? When developing a corporate identity, it is important to consider the assortment for which the bet is made. The bar does not always specialize in alcoholic beverages. You can distinguish espresso, grill, cocktail bars. The ones for a cozy relaxing holiday with friends are usually equipped with soft sofas and additional lighting points that are located near the tables. Comfortable soft furniture and nice knickknacks will give a homey atmosphere. The bar for watching sports matches should be designed differently. Furniture should be simple, decorated with sports accessories: scarves, hats, balls, hockey sticks. The interior should be made of wood furniture. If a bar or pre-party bets on a certain kitchen, for example, Mexican, then every detail of the interior must match the chosen country. In the case of Mexico, it is a sombrero on the walls, totems like decor, lots of cacti. In this interior ocher colors predominate, warm shades. Bright corporate style of the institution helps to attract visitors. The name of the bar, the signboard, the slogan, the design of it and the original menu form an integral image. Laundromat Cafe is an amazing concept, which successfully combines a bar, cafe, library and even a laundry. Visitors can sit at a table with one of the books that are placed on a bar counter or drink a glass of wine behind the bar while waiting for the end of the laundry. The walls are decorated with maps, photographs, and posters, which give comfort to this place. The design uses warm fire tones: from furniture to lighting. The door is painted red, in tone to sofas and chairs. The windows of the bar face the zoo, and the designers skillfully used this fact. The name speaks for itself because from the huge panoramic windows you can watch the nimble monkeys. The interior is very laconic, concrete, and wood predominate. In the winter season, visitors will get warm near the fireplace with pillows and a lamp lighting will simply add comfort. The main attraction of the bar is its location, that is successfully highlighted in the interior. The institution is in a remote place, that allows you to see the northern lights through the huge panoramic windows. 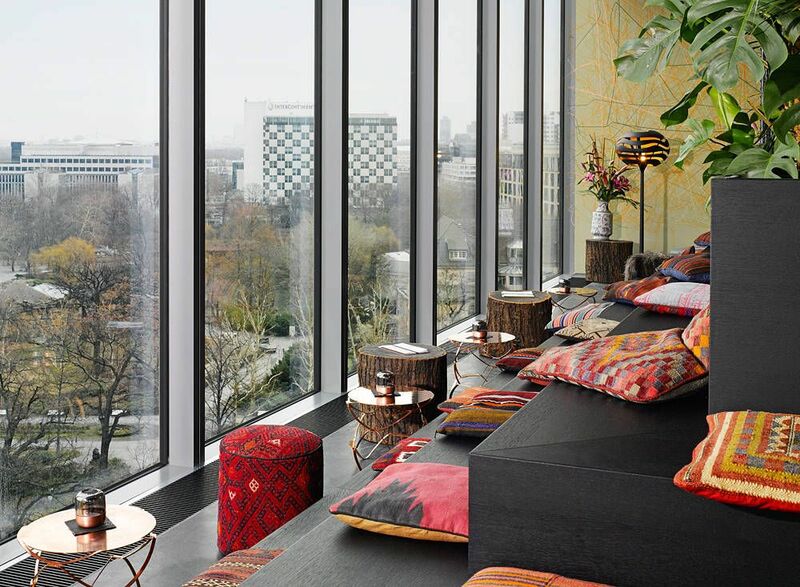 The interior does not look like a typical bar, visitors are surrounded by glass and wood, and you can relax on sofas that would fit into someone’s living room. This bar can simply shock the visitors. Selected topics can be traced in every detail. Instead of chairs – wheelchairs, aluminum tables. Inside the bar you can sit on soft sofas, that are used to be hospital gurneys. Drinks are fed through the drip system. As we can see, all the names of the bars completely reflect the concept of themselves. Details of the interior and exterior are made in the spirit of the chosen direction and nothing gets out of the general history. The names emphasize the positioning of the bar, help the visitor to get the first, perhaps unforgettable impression of the establishment. Logos, slogans and signage are made in one identity. Developing the identity, special attention should be paid to the basic elements of the corporate identity. The logo for the bar is the main advertising tool. It should reflect the cuisine, the concept, and philosophy of the bar. The development of a bar design is a responsible task, which should be entrusted to real professionals.